We are now at the time when believers have to be equipped and released to go into “all the world”—homes, communities, corporate offices, educational institutions, government establishments—demonstrating the works of Jesus Christ: moving in apostolic power, speaking the prophetic Word of the Lord, healing the sick, casting out devils, working miracles and impacting lives with the Gospel. It is no longer a time for believers to be warming their cushioned seats or just for leaders to be doing the work of the ministry. All God’s people must be empowered to accomplish God’s will on earth. As Christian ministers, it is our responsibility to make this happen. It is not about us. 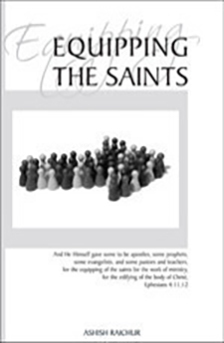 It is about them—the Saints—God’s people! Learn how to be in the center of God’s present move on the earth to equip and release every child of God to be a minister of God, so that Christ can return for a Body that is strong, whole and without spot or Wrinkle!